Survival pack. 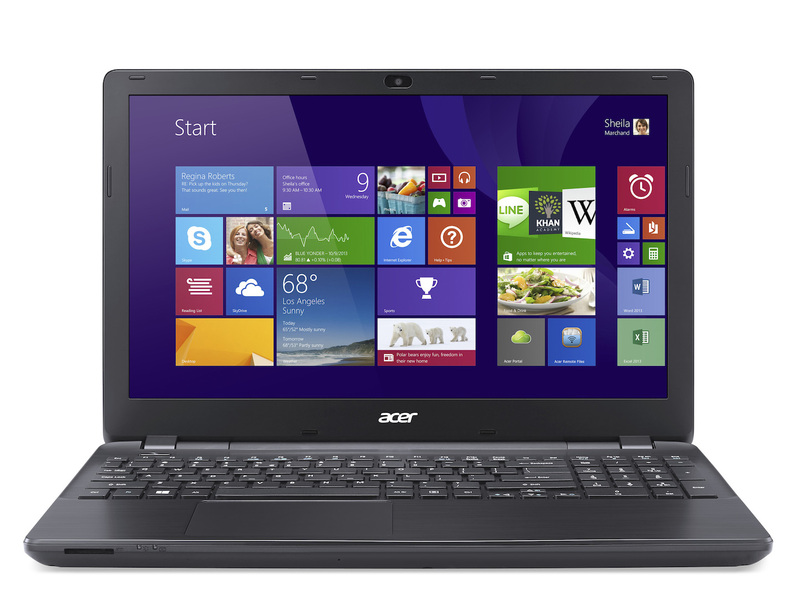 Acer's Extensa 2509 focuses on the basic application scenarios - for a competitive price of just 270 Euros (~$338). But how high can the standard be for a laptop of this price? Acer expands its entry-level line with a laptop for 270 Euros (~$338). 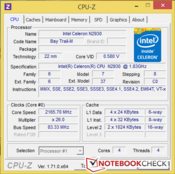 This low price level is made possible by Intel's Celeron processor, Windows 8.1 with Bing, a low-cost TN screen, and other low-budget components. We still remember the identical looking 2510 line that had an Intel Core i processor and twice the working memory for 160 Euros (~$200) more. But what can we expect from this austerity package, and for which application fields has the Extensa been designed? We used Packard Bell's EasyNote TF71BM, Lenovo's B50-30, and the Aspire E1-532 also from Acer for making comparisons in this price range. Acer's black laptop is made of a matte plastic casing. The plain device has an overall nice feel owing to its many curves and sleek design. We found weaknesses in the form stability on the touchpad's sides. The Extensa can be dented easily in these places. The same was discovered on the base unit, though it made a robust enough impression in total. Unfortunately, there is no maintenance cover for replacing or repairing components like working memory or hard drive. The battery can be removed with tools. The review sample's weight of 2275 grams is acceptable, and the laptop is comfortable to carry around. The interfaces cover the basic needs of all conventional devices. The ports are located on the front sides, which enables quick access. The drawback of this design is that long cables and plugs could become interfering on the desk and in the work area beside the device. Only one of the three available USB ports is a USB 3.0 interface. The potential buyer will notice the big touchpad that incorporates both keys favorably. Normal gestures are implemented immediately and smoothly on the suave surface. There were some minor issues with multi-touch gestures when scrolling. Scrolling gestures were often delayed and only implemented with interruptions. Furthermore, we noticed that the mouse cursor jerked severely after our benchmarks. The roughened chiclet keyboard typing feel is firm; the stiff keys with a firm stroke mechanism are the decisive factor. The positioning of the shift key will be uncomfortable for untrained fingers because it abuts almost directly to its neighboring key. The spacing between the hashtag and enter keys is also narrow, but that is not annoying there. Acer installs a complete number pad beside it, but, unfortunately, there are no special keys. 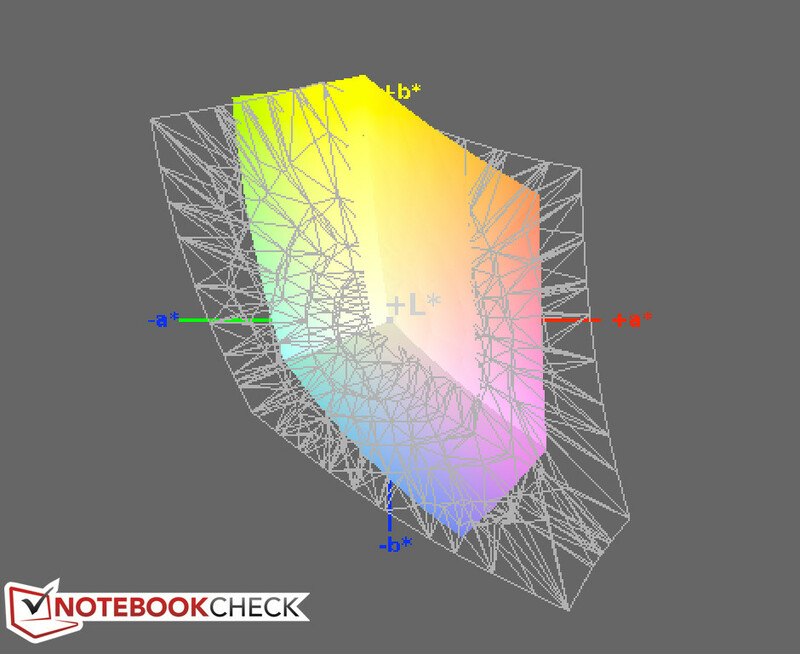 The 15.6-inch TN screen with 1366x768 pixels has a low average brightness of 176.9 cd/m². No significant difference is seen in battery mode. The review sample's contrast of 418:1 and black level of 0.45 cd/m² are within a normal range for this price level. The only moderate screen brightness makes outdoor use in bright surroundings difficult. However, the device can principally be used in cloudy conditions owing to its matte screen. The viewing-angle stability of Acer's Extensa 2509 is not convincing, but that is not very surprising in this price range. Colors and the screen's brightness deviate obviously when it is tilted or moved laterally. The analysis of the reproduced colors results in an average shift of 8.65 from the sRGB color gamut (ColorChecker), and 9.63 from the grayscale. Again, the device is in the average of its class. 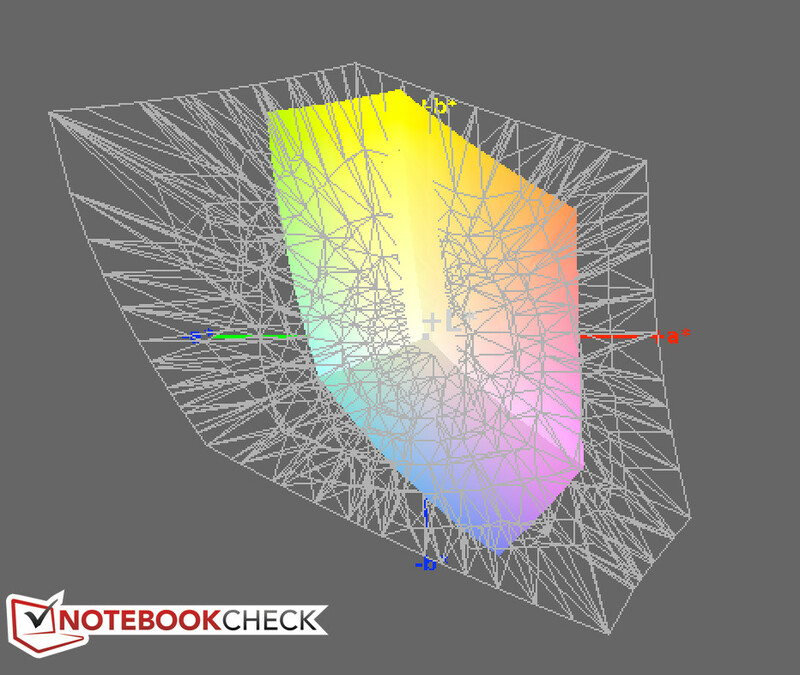 The color-space coverage is also too low for professional use. The Aspire wants to be a 15.6-inch laptop with enough power for office and Internet tasks for a price of 270 Euros (~$338). 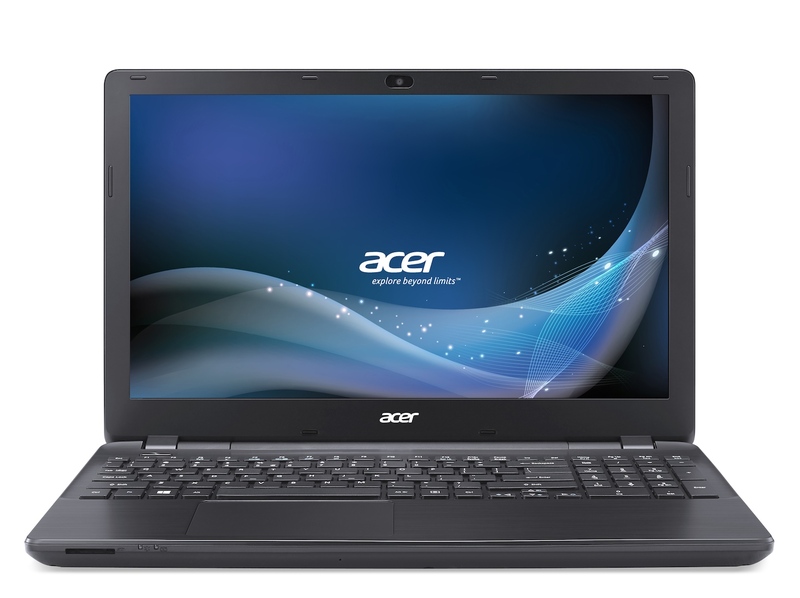 Acer also offers different alternative configurations, such as with Intel's Pentium N3530 alongside 4 GB of working memory, for higher performance. A surcharge of 30 Euros (~$37) is demanded for that. 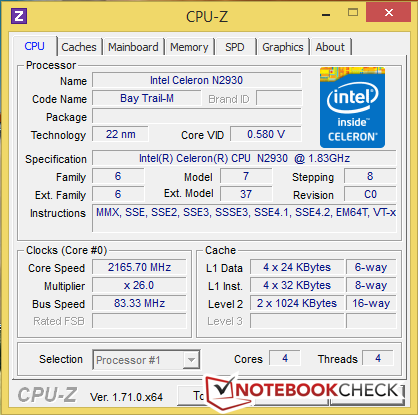 Our review sample is equipped with an Intel Celeron N2930. This quad-core CPU is mostly used in smaller 11-inch devices. 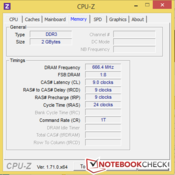 Its clock rate ranges from 1830 to 2160 MHz in the standard case. 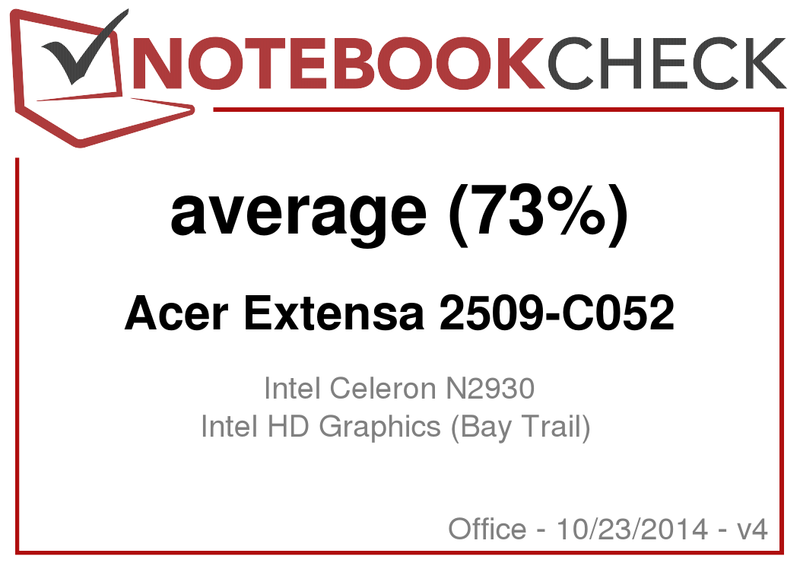 Acer's laptop clearly stands out from its contenders in the CPU benchmarks owing to the new Celeron series. The scores of the Cinebench tests were identical in both AC and battery modes. In addition to the benchmark results, the subjective impression of interacting with the device is most decisive. Although the recorded scores of the PCMark tests are all within a normal field, working was often burdened with long waiting times, which we did not experience to such a degree in some comparison devices. The PCMark 8 scores display average results for this configuration. Seen in relation, the 100 Euros (~$125) more expensive HP 15-g005ng based on AMD components achieves considerably better scores. A Seagate Momentus Thin hard drive with a capacity of 500 GB provides the needed storage. 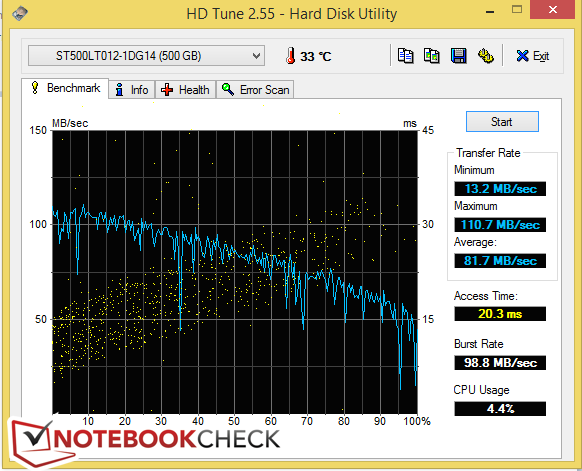 The hard drive achieves good results for its kind in HD Tune and CrystalDiskMark. The comparison models either use the same or a similar series. 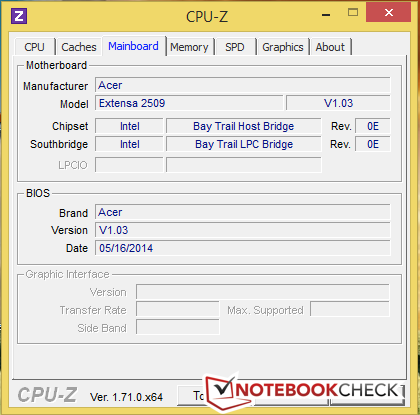 The CPU-integrated Intel HD Graphics (Bay Trail) clocks with a core speed of 820 MHz. The performances of the Bay Trail versions in the three comparison devices are close. 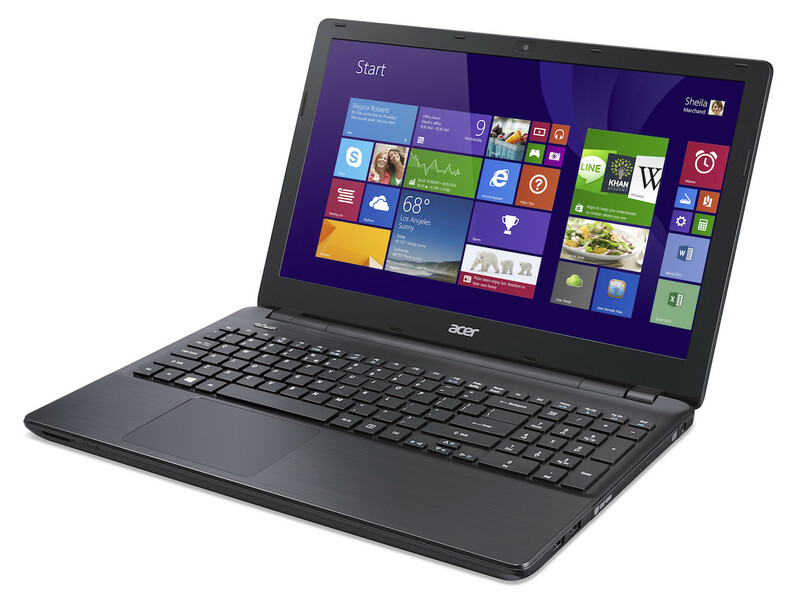 A clear difference in the results is obvious in Acer's Aspire E1-532. The device can reap in a twice as high score in 3DMark 11 owing to its Haswell architecture. HP's 15 based on AMD's R5 graphics again has a considerable lead. It quickly becomes obvious that the Intel HD Graphics (Bay Trail) is not apt for everyday gaming. Its power might still be enough for some older classic games, but another device should be taken for playing newer games - particularly when the user does not want to "enjoy" games in minimum graphics settings. The produced noise is mostly positive. However, that is because only the most basic components are installed in a comparatively large casing. We have to note that both the hard drive and fan are audible in idle mode. Although 41 dB(A) in load operation is tolerable, it is clearly audible. 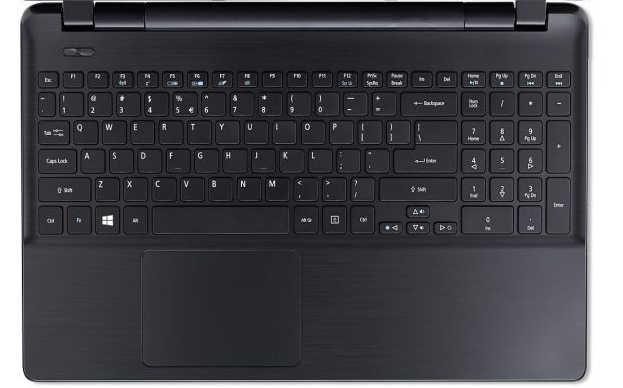 Even the contenders do not achieve these high noise levels because Bay Trail M laptops often have a fan-less design (Lenovo B50-30). The temperature assessments also benefit from the omission of high-performance hardware. Unpleasant temperatures were not reached in either idle or load. The hotspot of 39 °C was found on the underside. Use on the lap is possible without problems. Although the power supply is very small, it does not get disconcertingly warm with 31.3 °C in idle and 43.9 °C in load. We ascertained major shortcomings in temperature development among the contenders, in particular in Lenovo's B50-30. The Aspire E1-532, also from Acer, even remained considerably cooler than our review sample. The stress test is performed using Furmark and Prime95. We did not record throttling, i.e. rates dropping below the CPU's base clock. 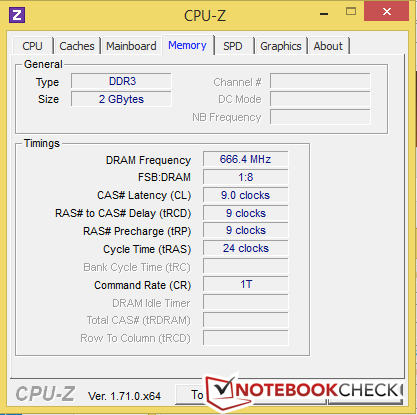 Contrarily, a stable clock rate of 2166 MHz was achieved even after one hour. The analysis of the speakers is quite positive for a price point of 270 Euros (~$338). Of course, laptop-common issues are heard in audio rendering, but Acer's Extensa 2509 achieves a decent volume and should suffice for watching an occasional video or YouTube clip. The review sample is not particularly consuming in idle with an energy requirement of up to 9.6 watts in idle. The power consumption was even halved in energy-saving mode. 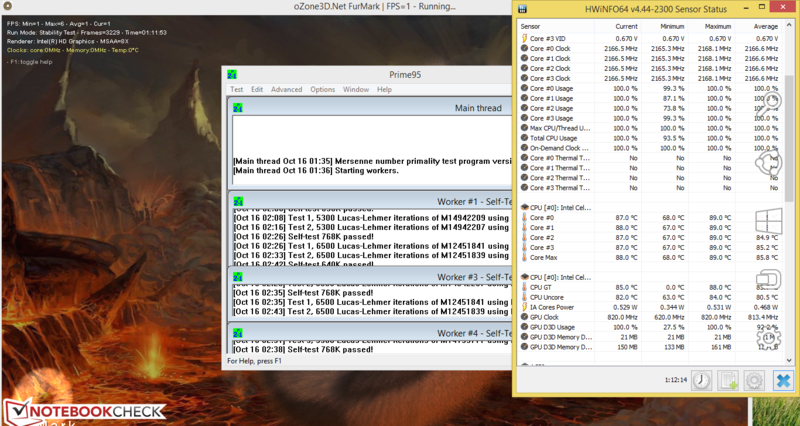 The stress test via Furmark and Prime95 demanded a maximum of 20.4 watts from the laptop. 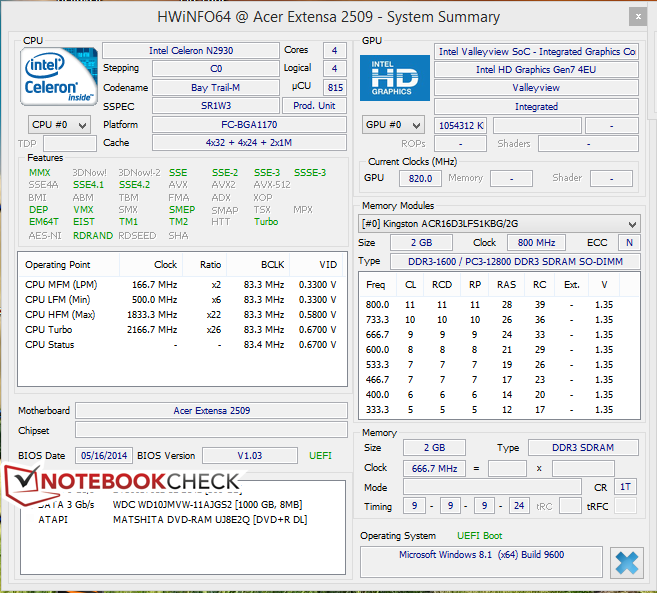 That is clearly higher than that of Packard Bell's EasyNote TF71BM (16.9 W) and Lenovo's B50-30 (12.2 W). 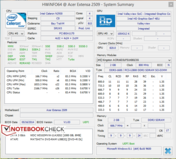 The Acer Aspire E1-532's consumption of 26.5 watts is considerably higher than those of the comparison devices, which is due to the stronger CPU. The 6-cell lithium-ion battery has a capacity of 55.9 Wh. 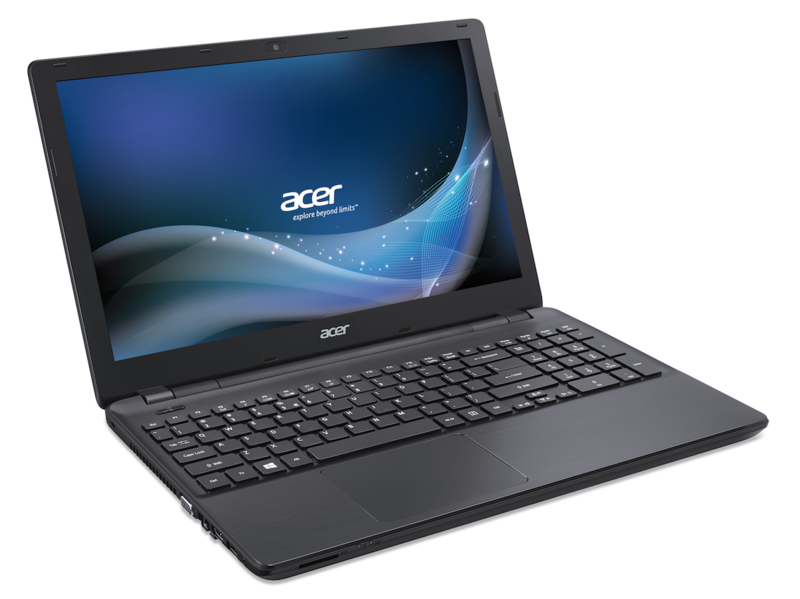 According to the manufacturer, the Acer Extensa should last for seven hours without an external power source. We simulate Internet browsing with typical web scenarios in our Wi-Fi test. The review sample shut down after 6 hours 37 minutes here. The manufacturer's specification can very likely be surpassed when using the laptop with disabled communication modules and minimum brightness. 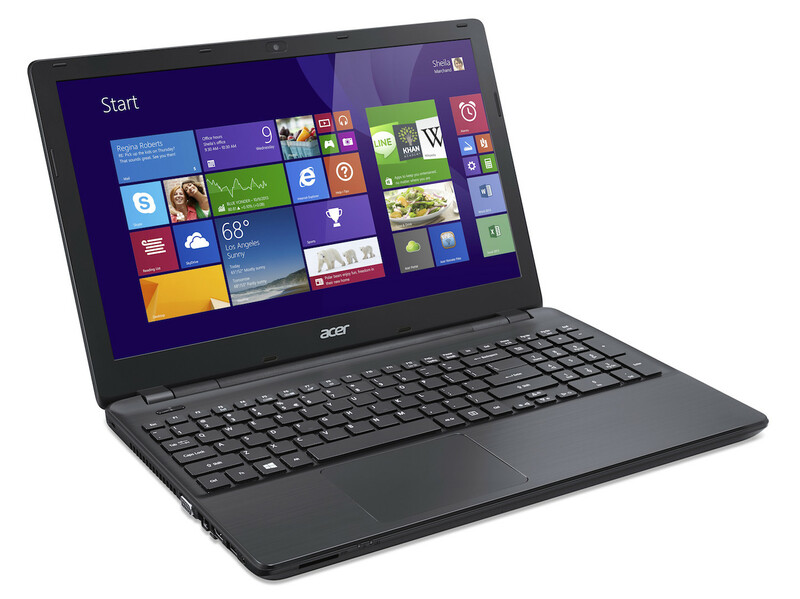 Acer's Extensa 2509 classifies itself as an affordable entry-level laptop for office and Internet applications. The satisfactory input devices and matte screen provide feasible basic hardware for this purpose. Potential buyers will have to make compromises in performance, and they will have to accept waiting times in applications and inputs. Advantages are that the laptop always remains quiet during normal use and does not heat up unpleasantly. The speakers' volume is also impressive. However, the poor viewing-angle stability makes movie nights on the Acer difficult. The battery life of approximately 6.5 hours is viable for mobile use. A look at the contenders reveals whether the balancing act of price and performance has been successfully implemented. 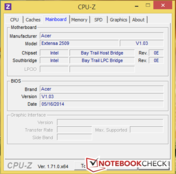 Packard Bell's EasyNote TF71BM proved to be a worthy contender in the test. However, it often had to admit defeat in performance due to its weaker processor. Users who like the idea of a longer battery life and want to save 20 Euros (~$25) will be well served here. Lenovo's B50-30 lagged behind in virtually all the benchmarks. However, it has a maintenance cover that has been completely omitted in our Acer Extensa. 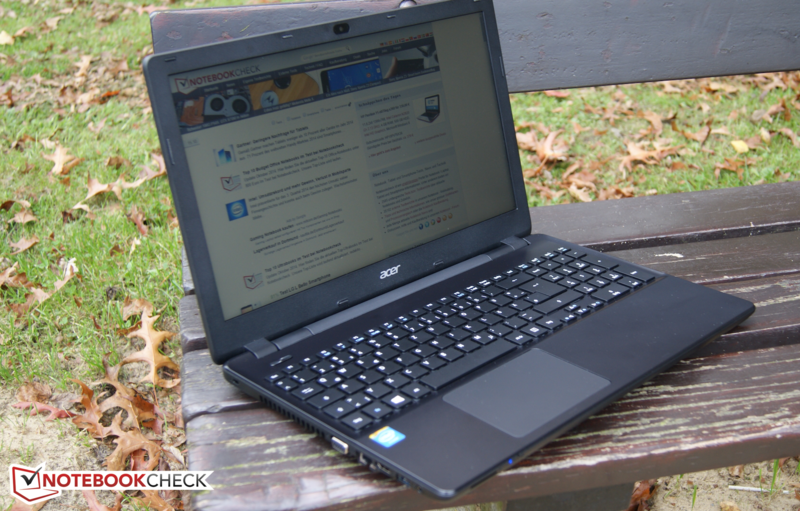 Acer's Aspire E1-532 proves that a bit more performance is possible for the same price. A catch is the shorter battery life though (by approx. 2.5 hours). In total, Acer's Extensa 2509 makes a solid impression for 270 Euros (~$338). Nevertheless, the buyer should adapt expectations to the price. 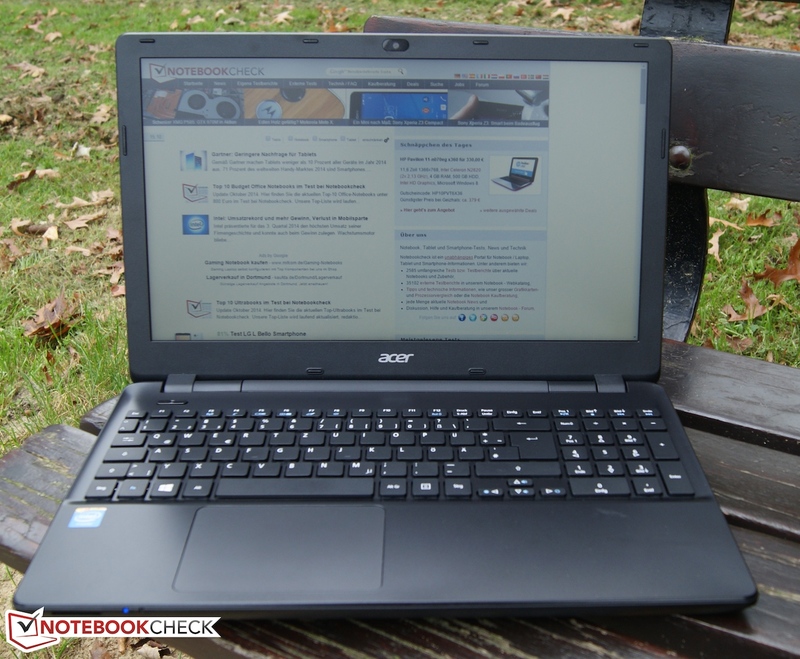 In review: Acer Extensa 2509-C052. Test model courtesy of Notebooksbilliger.de. The nice feel and big touchpad. A clean system. 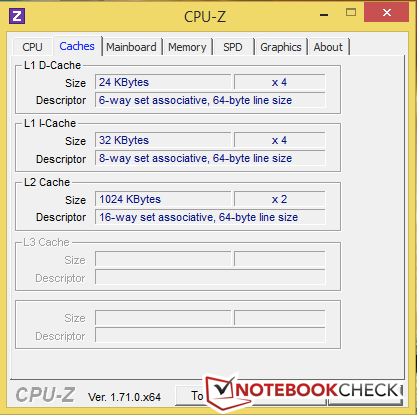 Too much third-party software limits the devices low performance even more. A well-conceived entry-bundle for a low 270 Euros (~$338). We took a glance at Packard Bell's EasyNote TF71BM to reduce the price level a bit more. Lenovo's B50-30 is based on similar components, and to stick with Acer we also added the Aspire E1-532 to our round.